Prof. Baby Chitra has completed B.E. degree in Electronics and Communication Engineering from Madras University and M.E. degree in Control and Instrumentation fom Bangalore University. She has over seven years of teaching experience and Guided several projects. 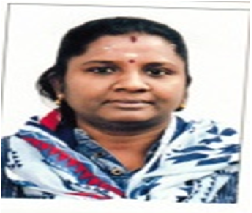 She has also worked as Technical Engineer in SPINCO Special Instruments Consortium Pvt. Limited, Chennai.